I’ve got an exciting weekend planned. You see, I get to hear Ina May Gaskin and Henci Goer speak. Considering Henci Goer’s book is the reason I decided to give birth naturally outside of a hospital, I’m just a tad bit excited. And Ina May, of course, is a heroine to all of us interested in natural birth. If you’re as geeked out as me and can be in the Greenville/Spartanburg, SC area this weekend, you can hear them, too! The first opportunity and the only time you can hear both Henci and Ina May speak is this Friday, March 7, 2014. Tickets are on sale now and must be purchased in advance. Your next opportunity to hear Ina May is free! 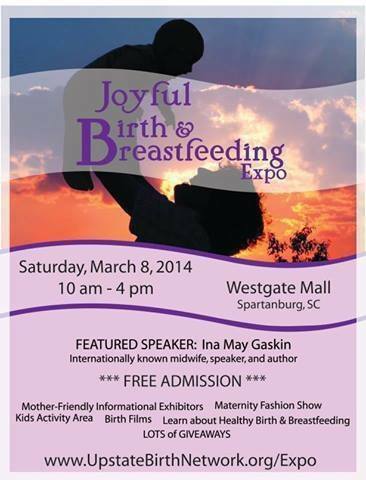 Come to the Joyful Birth and Breastfeeding Expo this Saturday, March 8, 2014, and you’ll have 2 chances (at 10:30am and 1pm) to hear her speak. The Expo is being held at Westgate Mall in Spartanburg. Okay, maybe your birthing and baby days are over. There is still a ton of stuff for you and your children at the Expo. Did I mention it’s all free? 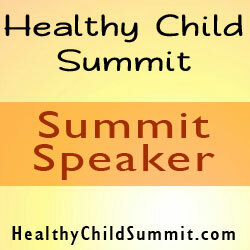 Check out all of the stuff going on for kids! Also, if you’re pregnant or just want to learn more about your options regarding birth and breastfeeding, there are so many resources available at the Expo. Just check out the program for all of the wonderful information and learning opportunities! 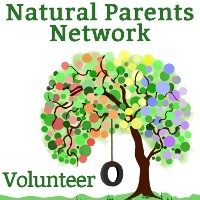 There’s a cloth diapering demo, a babywearing fashion slow, massage for moms and babies presentations, movies about birth, postpartum support, sleep help, circumcision information, and so much more! We’ll even have a Red Tent for a quiet, restful space for you. It’s going to be amazing!!! Join us this weekend! !